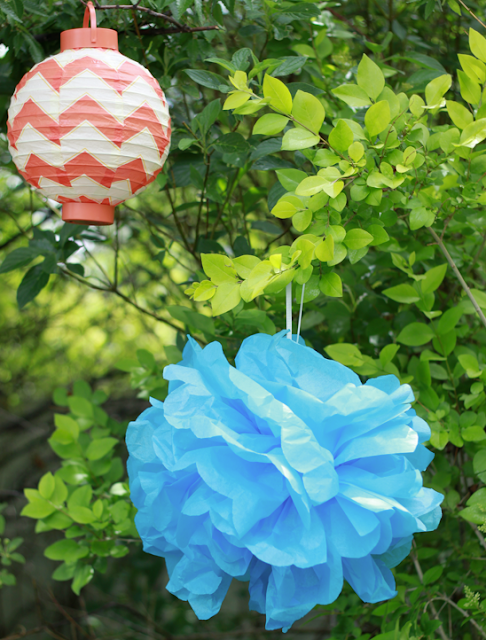 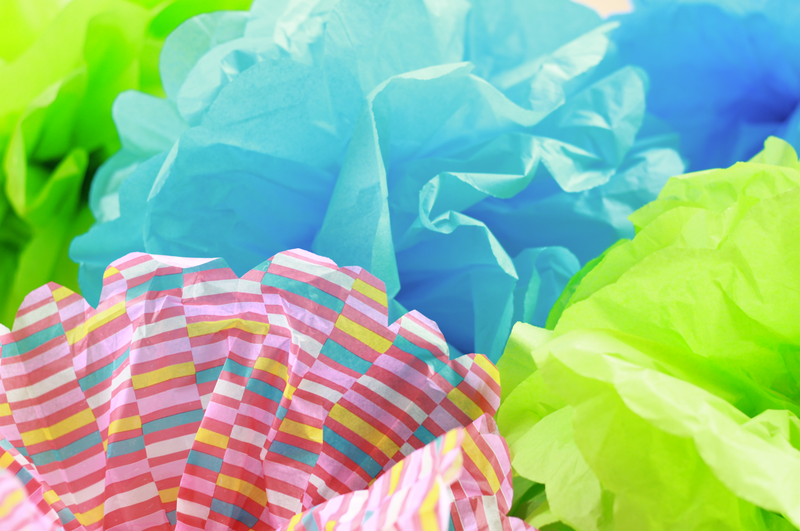 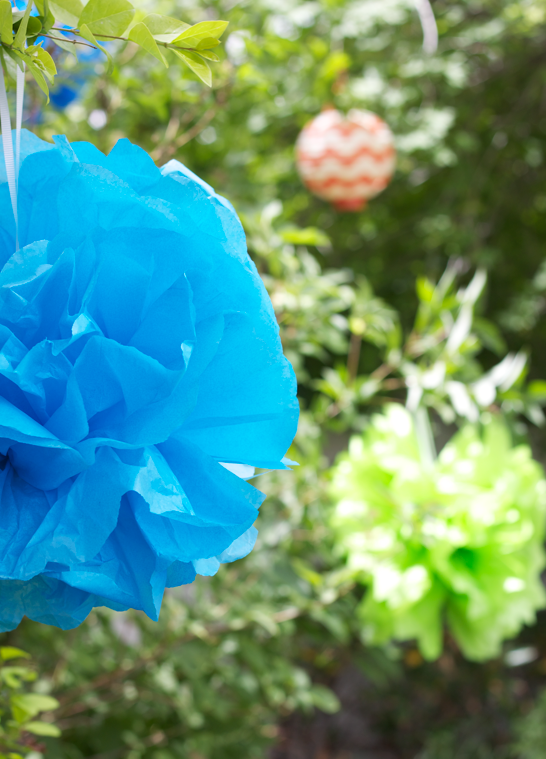 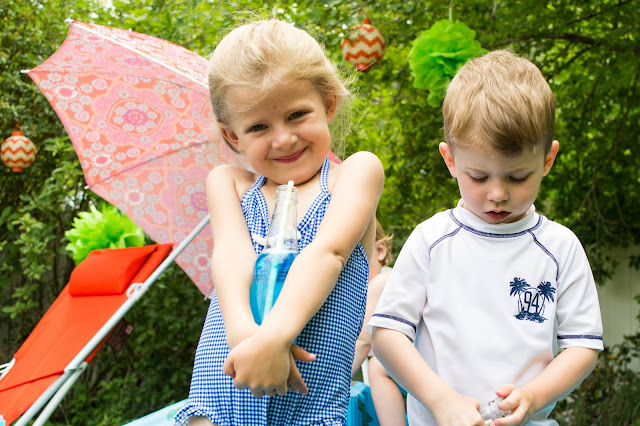 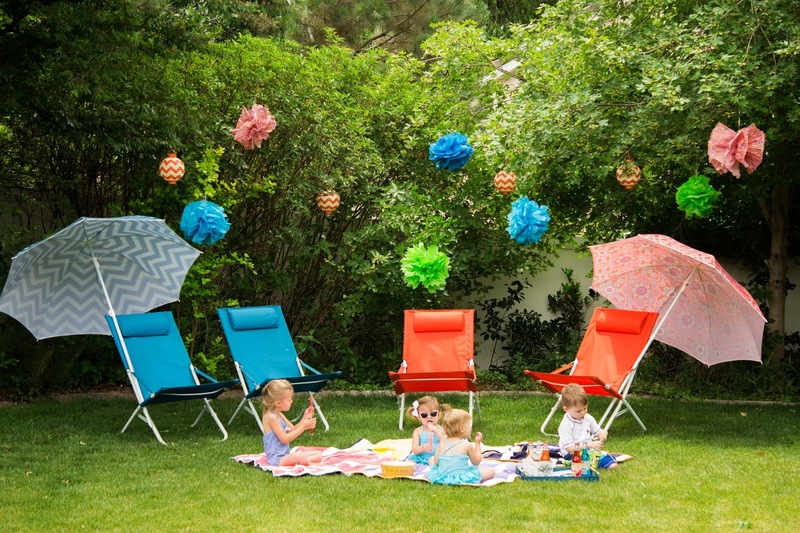 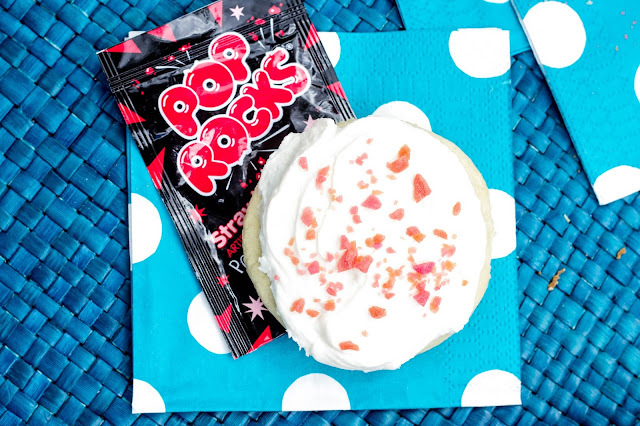 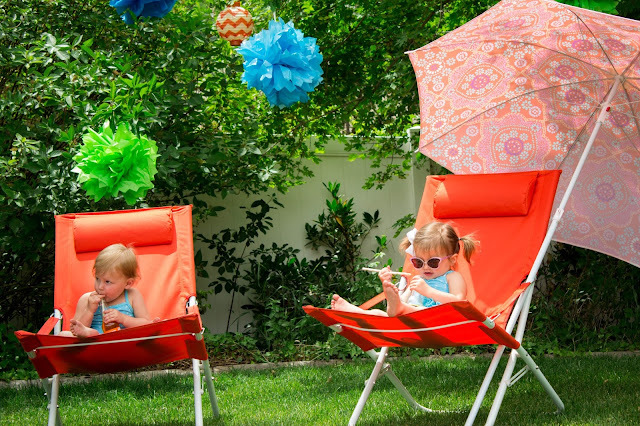 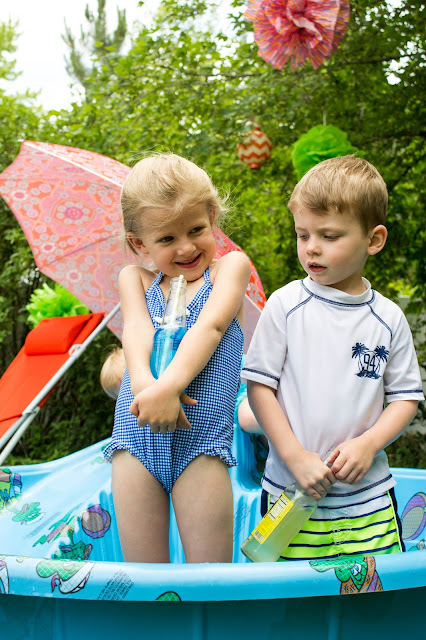 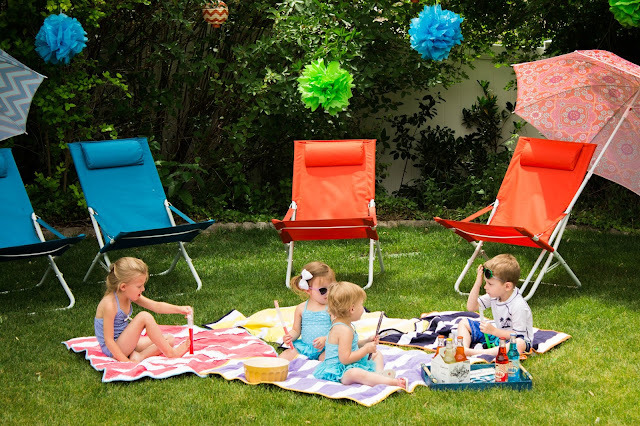 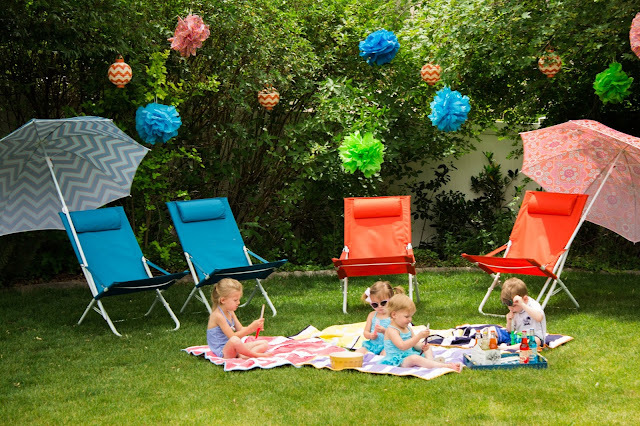 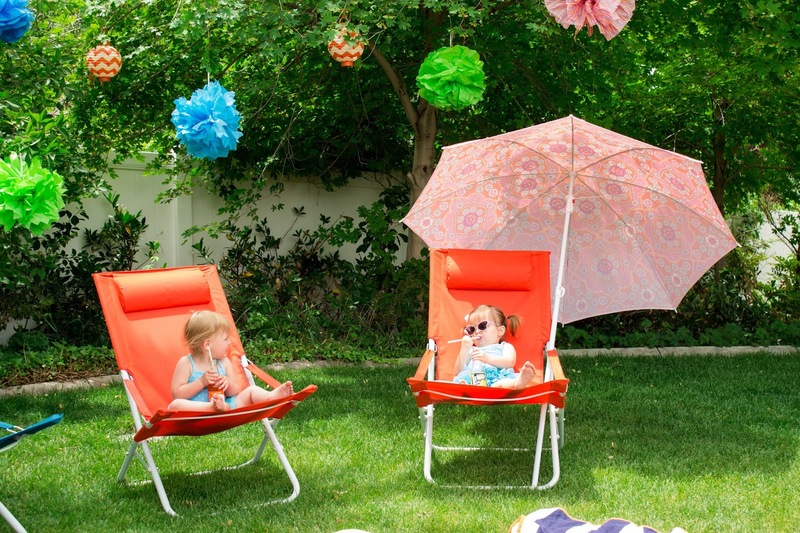 Pop, Popsicles, Pom Poms, a kiddie Pool, and Pretty Patterns were all part of this Picnic Party. 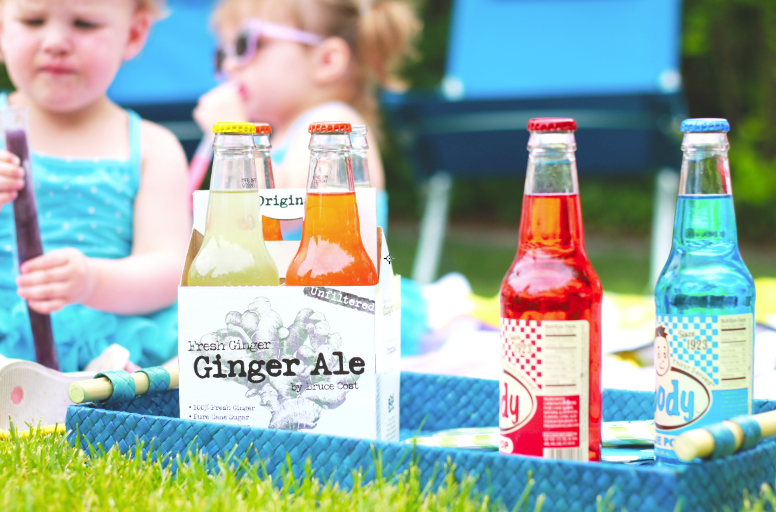 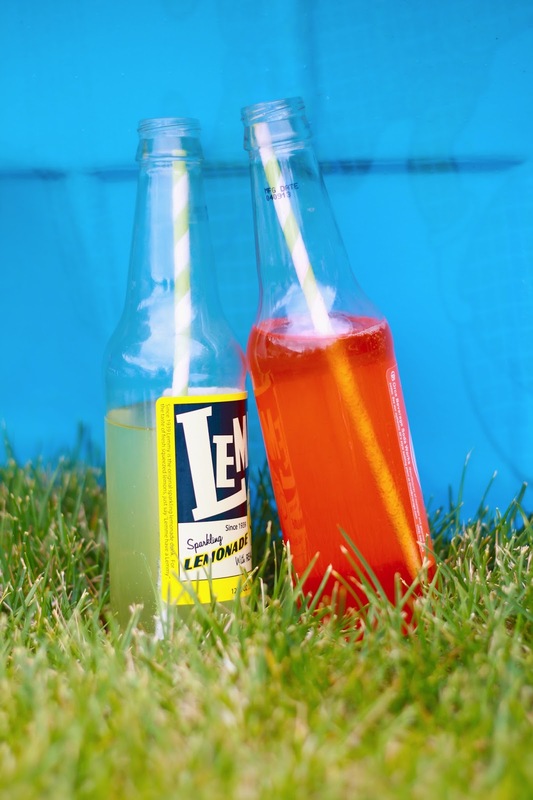 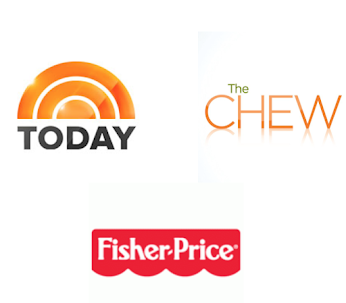 All the beverages found at World Market are perfect for Outdoor Entertaining and Outdoor Dining. 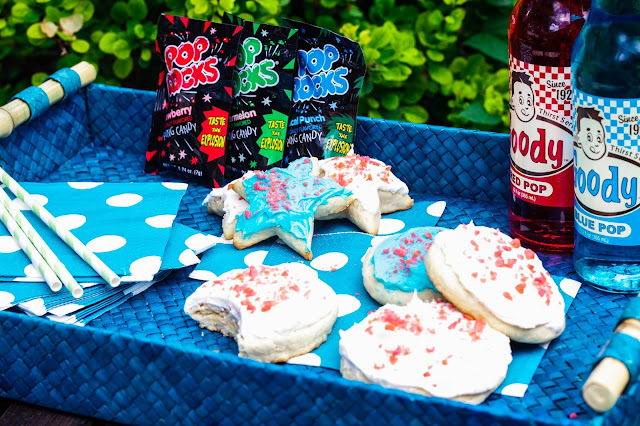 The kids absolutely loved each and ever flavor. 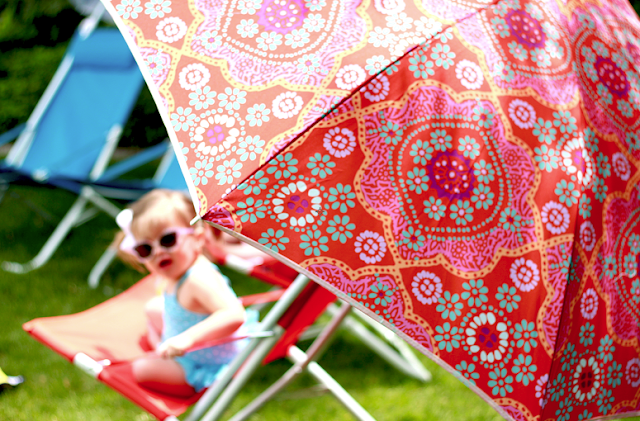 Check out all the darling Beach gear. 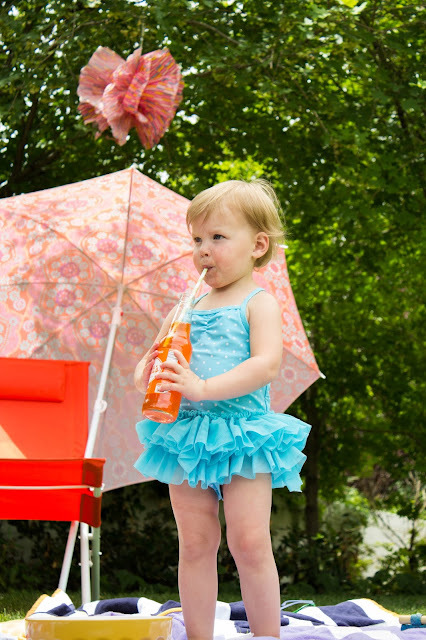 This Beach gear is to die for. I especially love the colorful and vibrant patterend sun unbrellas. 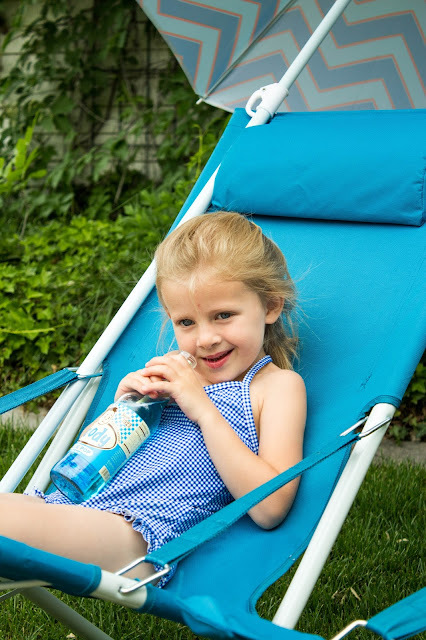 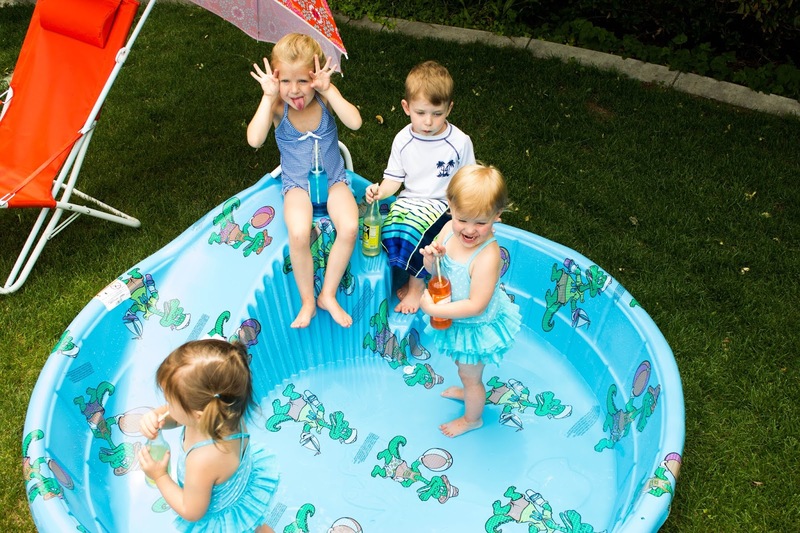 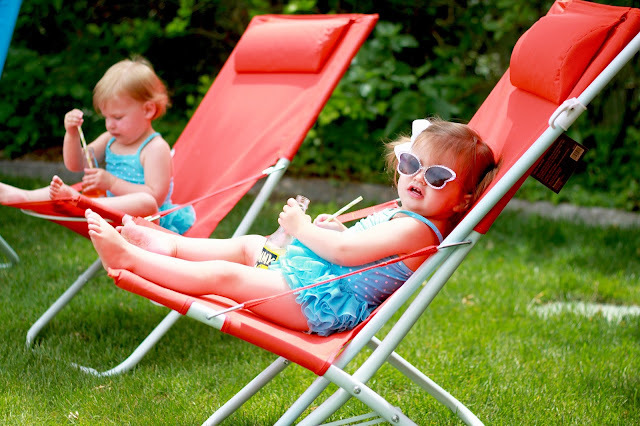 Take a look at our Bathing Beauties... Aren't they adorable in their little beach chairs sipping on ice cold beverages? !